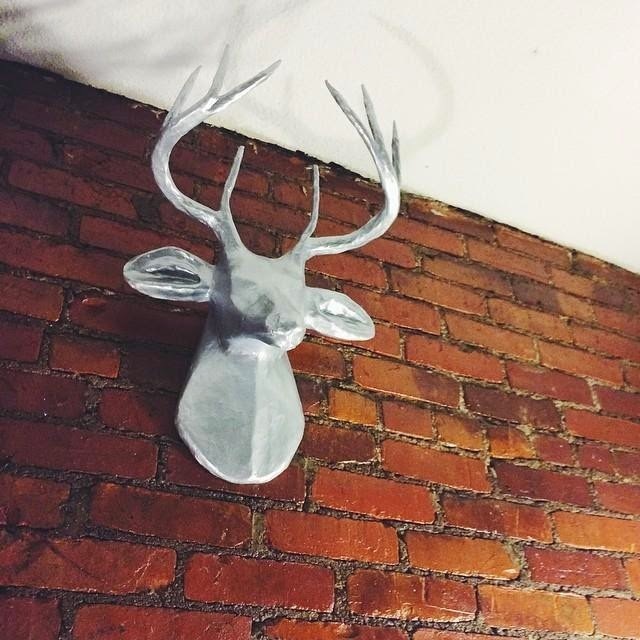 [BB-Blog]: Papier-mâché silver deer head. One of these days, I really need to get myself a big fake deer head. This would definitely do the trick. Handmade in Haiti. As part of our collaboration with Port-au-Prince workshop Caribbean Craft, we worked with artisans in Haiti to create this silver-finish stag. 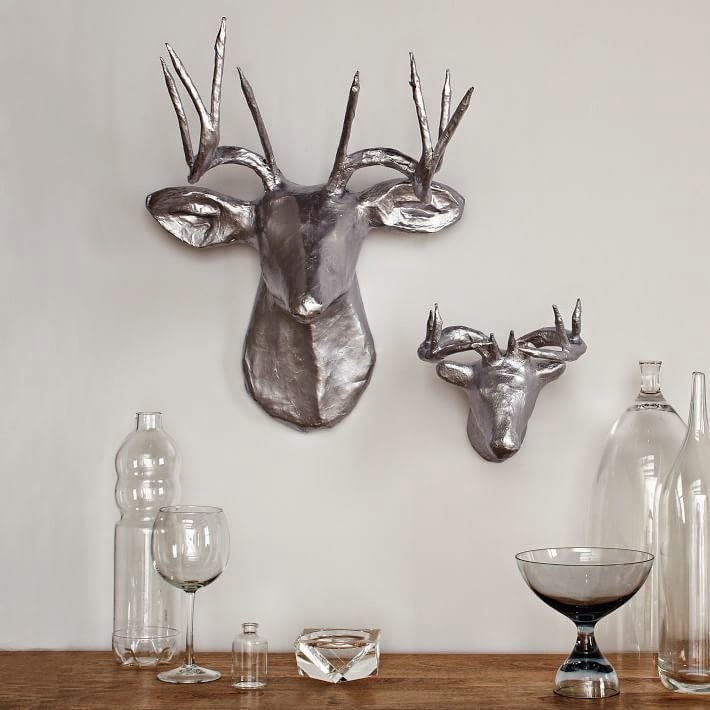 Made from recycled materials, it brings a wild side to walls in the most responsible way.